Bruno Mars is not like any other performer, he does not start his performance from the stage like a normal musical guest. The groove of “24K magic” is just too strong to handle. 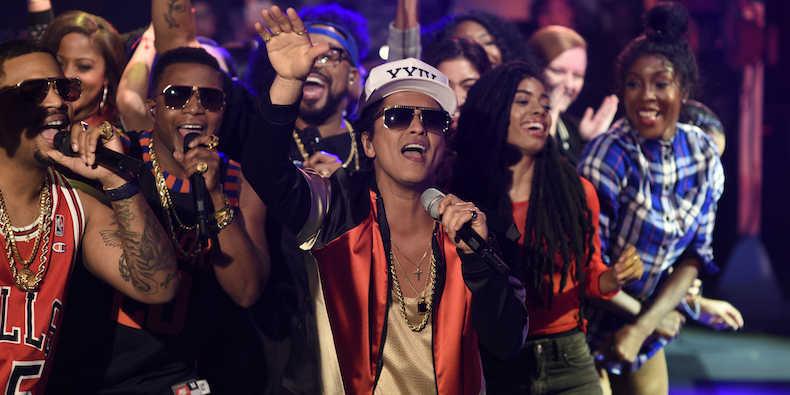 Watch his full performace below on ‘SNL’ below. The 31 year old singer performed his latest single Saturday night and it was a “crowd participation encouraged” moment as the pop star waggled his way through the high-energy audience. Did you also love his performance? Share your thoughts with us on the comment section BELOW.